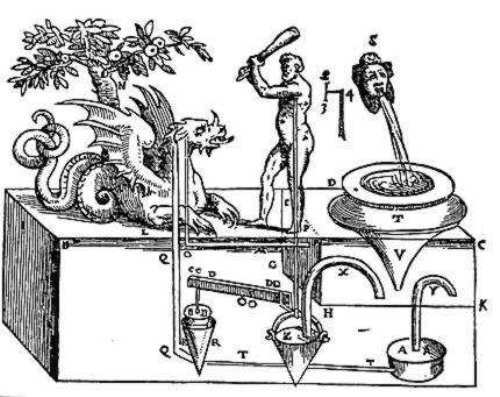 Most experts state that the works of Heron Alexandria present the Hellenistic scientific tradition. There is no need to wonder if people consider him as an experimenter of antiquity. 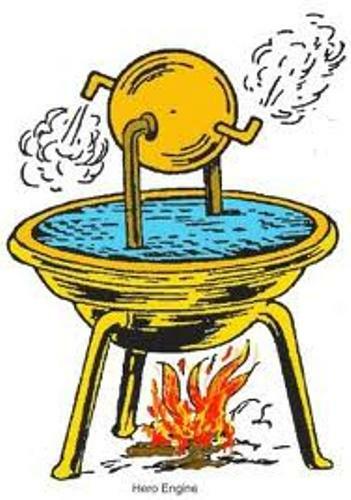 Aeolipile is also called as a hero engine. This hero engine was published by Heron in his description. This engine actually was a stream powered device. Ctesibius was the one who inspired Heron. You can find that some of his works were similar with the works of Ctesibius. It is due to the facts that Heron was an atomist. 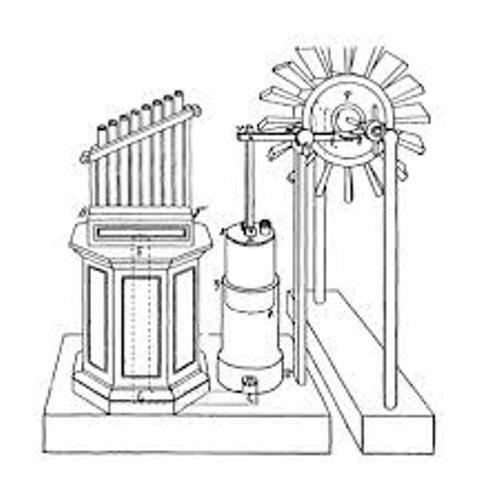 Wind wheel is another idea that Heron of Alexandria had when he was alive. Today wind wheels are used in many countries to produce the electricity. Most descriptions and ideas of Herons works were lost. However, some of them are kept in Arabic manuscripts. When he was alive, he became a teacher and lecturer. He taught various subjects to the students in Library of Alexandria. His invention and creativity can be seen in the field of physics, mechanics, mathematics and pneumatics. Heron also contributed much to the world of theater. He invented some mechanisms for the Greek theater. To create the sound of a thunder, he would drop some metal balls inside a hidden drum. He also created a mechanical performance by using a rotated cylindrical cogwheel and knots. Another genius invention of Heron was a fire engine. During the Roman Empire, this fire engine was widely used in the form of a force pump. To regulate the delivery of liquid and air, Heron invented a syringe like tool. Heron’s fountain was created by Heron. 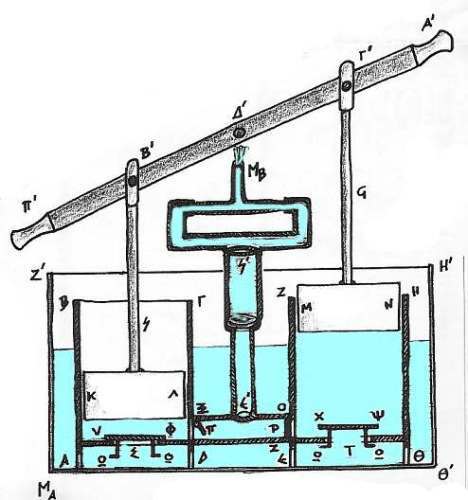 The operation of this standalone fountain was from the hydrostatic energy. If you like to learn about the invention and works of Heron, you need to get the five volume books published in 1903 by House Teubner in Leipzig. This volume accomplishes the complete work of Heron. 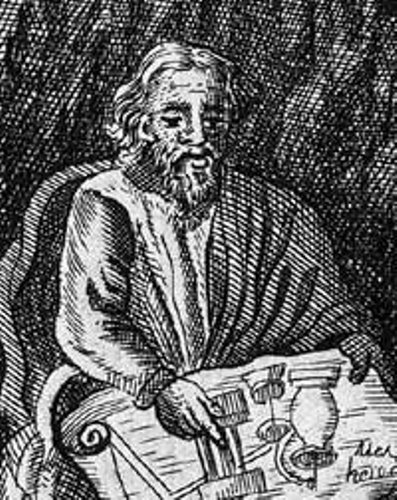 Some works that Heron of Alexandria had created during his life include On the Dioptra, Pneumatica, Automata, Metrica, and many more. Do you have any opinion on facts about Heron of Alexandria?